Our PADI Divemaster internship develops your leadership abilities, qualifying you to supervise dive activities and assist PADI Instructors with student divers. A Blue Season Bali Divemaster Internship gives you more than just a normal Divemaster course; we strive to make you employable! The other focus of our Divemaster Internship program is to make your PADI Instructor Development Course an absolute breeze. Our standard 1 month Divemaster course includes all you need: accommodation, PADI materials and fees, and a month of diving and fun! A good option for those already Rescue certified and ready to start! 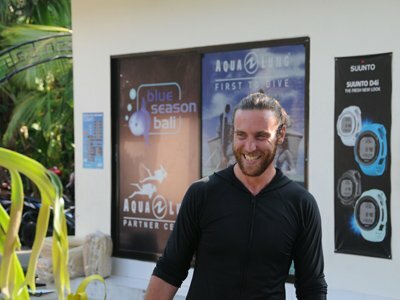 Our most popular PADI Divemaster internship! 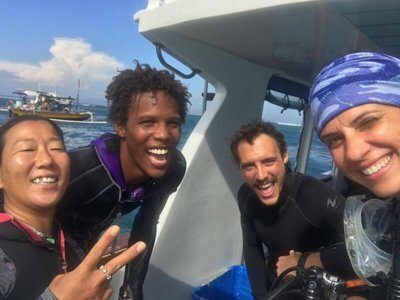 Packed with action, extra specialities and even a Freediving course, the best way to build up your experience and spend 2 months with us in Bali! All you need to start your professional career, including a full set of equipment! Get all the experience you need during your time with us! For all of our PADI Divemaster Internships, we include all the PADI training materials required to complete the course, at no extra charge to you. You also get the comfort of knowing we’ll pick you up at the airport. We also throw in accommodation, all PADI fees, unlimited diving, and diving insurance during your divemaster internship. In addition to this, we include a LOT more, so please browse our Divemaster Internship programs listed above for more information. Once again, our internships are all inclusive so there are no surprises. Basically, we will look after you when you are here! Obviously our different PADI Divemaster Internships have different prices. Your price will also vary depending on your current level of dive training.. We’re happy to provide a personalised package to suit your specific diving needs. Please contact us for a custom quote, or have a look at our Internship pricing. You can start your PADI Divemaster Internship any time! Our PADI Divemaster Internship Program follows a set schedule but allows a great deal of flexibility. Each week we have set days for certain diving activities. We prioritise in-water time and thorough briefings/debriefings of your performance throughout the program. Your professional development is the focus of your training. As you can see, your PADI Divemaster Internship is an intense scuba diving internship experience. You’ll work and train with our experienced development staff six days per week. Saturdays are your day to relax, go surfing or uncover some of the excellent cultural offerings of Bali. 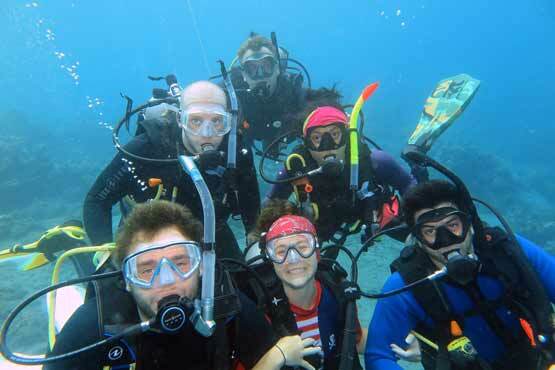 We typically run a wide range of PADI specialty courses each month. Additionally, we conduct Blue Season’s exclusive Professional Development seminars on a regular basis for our Divemaster Internship participants. You won’t find these valuable Divemaster Internship seminars anywhere else! 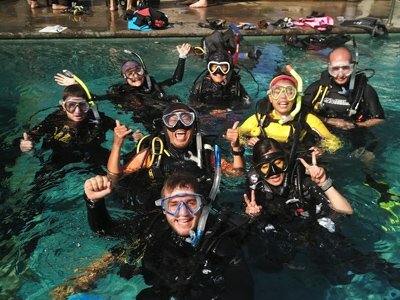 Is The Divemaster Internship Fun? Haha, you bet! We’re serious about providing the best quality divemaster internships the world has to offer, but that’s not the whole experience. You will be working and living with other divemaster internship participants from all over the world. The excitement and cultural flavor of Bali makes it the setting of the diving adventure of a lifetime. In addition to our training schedule, we also hold regular internship BBQ’s and social gatherings to talk about a diving in a non-formal setting. Also, after each month’s PADI Instructor Examinations, Bali’s newest scuba diving instructors are always ready to relax- Bali Style. Our senior instructors have years of experience not only diving in Bali- we live here too. We can help make the most of your time here, both in the water and out! 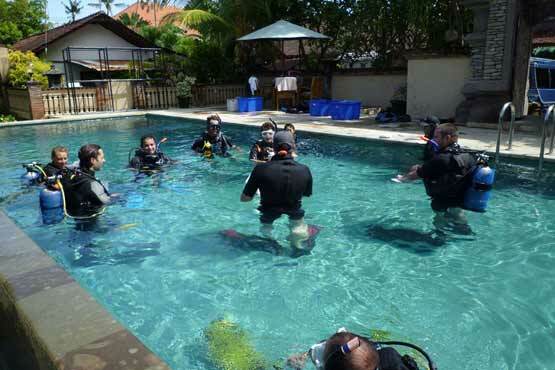 Supervise dives by organising, planning and conducting dives for certified scuba divers.